A stye is one of the common eye diseases. It is an infection in the eyelid involving the sebaceous glands of Zeis at the base of the eyelashes or the apocrine sweat glands of Moll. The infection can be external or internal on the eyelid. Another term for styes is hordeolum. A stye looks very similar to a chalazion but is slightly different. A chalazion is a cyst or blockage of the meibomian glands in the eyelids. Stye in eye is not really a correct term as the infection is in the eyelid. Conjunctivitis is another one of the eye infections that can be confused with a stye. Conjunctivitis is an infection of the outer tissue that covers over the white portion of the eye. It contains the blood vessels that you see on the eye. The conjunctivitis can be caused by bacteria, virus, or fungus. Styes occur when one of the glands near the base of the eyelashes becomes infected. It is common in teenagers but may occur at any age. 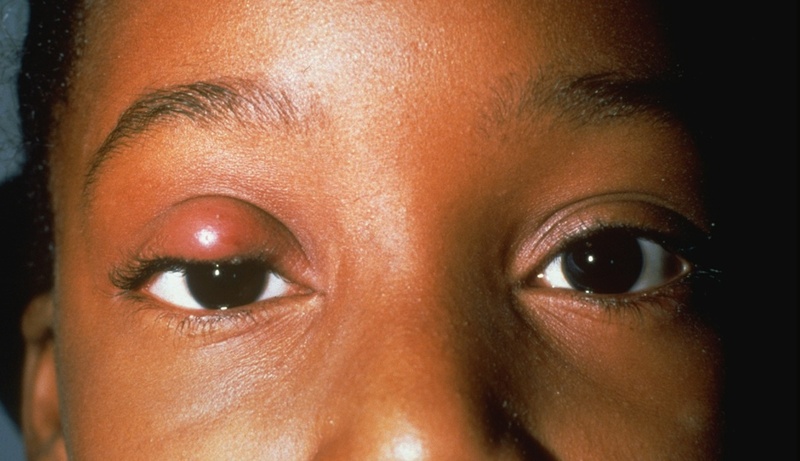 Poor hygiene and rubbing of the eyes may lead to the development of a stye. The first method of treatment is the application of warm compresses for fifteen minutes four times a day. Topical antibiotics may be prescribed. In severe cases with the possibility of spreading, oral antibiotics may be used. If the infection is not resolving then the eye doctor may lance or incise the stye. If still not resolving, surgical removal of the stye may be necessary. This is done in the office under local anesthesia. Complications are very rare from developing a stye. The infection can progress on to a cellulitis which a more severe type of infection. Permanent scarring with deformity of the eyelid is possible. Trichiasis (eyelashes turning in and rubbing the eye) can result from the scarring. Eye irritation and watering can be present from the scarring. If you develop a lump or bump on your eye, start using warm compresses and call your eye doctor.